No quicker had we announced that Dollar Rent A Car had a new office to service the Port of Miami then we received notice today that the Hilton Hotel Dollar office has actually closed. 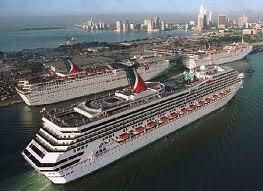 Not to fear though, Dollar Rent A Car are still servicing the Port of Miami. All bookings will be serviced by the Airport via a regular shuttle bus service. During the following office hours. 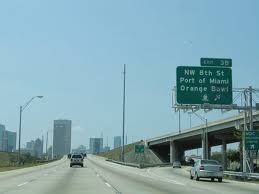 To book online simply select the location marked Port of Miami Serviced by Miami International Airport. I have some great news regarding a very popular collection point in Miami. Today Dollar Rent A Car have announced they will be running regular shuttle buses from their Hilton Hotel location (1601 Biscayne Blvd, Miami) to the Port of Miami. These shuttle buses will run every 30-40 minutes and are free of charge, the vehicles must be collected and dropped off though at the Hilton Hotel. You can locate this office on our website by either typing port of miami, Hilton Hotel or Biscayne in to the pick up or drop off boxes.